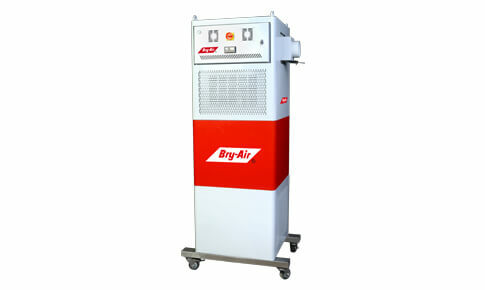 The Bry- Air Ecodry Mould Dehumidification System is an example of the innovation, based on market needs. 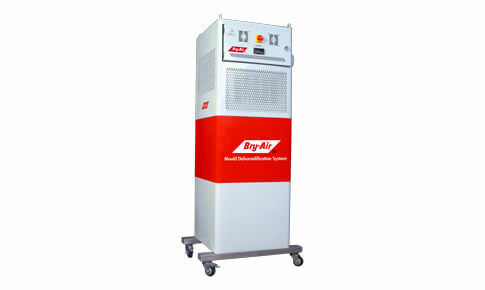 Bry-Air EcoDry Mould Dehumidification System – MDS Series is designed exclusively to prevent mould sweating. The Bry-Air Mould Dehumidification System ensures increased production through reduced cycle times. A chilled water pre-cooling coil combined with the latest in desiccant technology ensures super dry air. This prevents mould condensation on injection moulding machine. Typically, a MDS-3 model Mould Dehumidification System can prevent condensation on moulding machines upto 800 tons.